I recently found these Easter cards in my "Correspondence" box. I made these several years ago. The basic card is so simple, just a folded piece of purplish paper. No embossing, no rounded corners, no stamping. The envelope was made using a tiny template of some kind. And, I'm almost sure, the teeny tiny tag was made on the computer and then hand cut. I think the fanciest thing about the card is the little brad I attached to the tag. I guess that was a big technique back in the day. 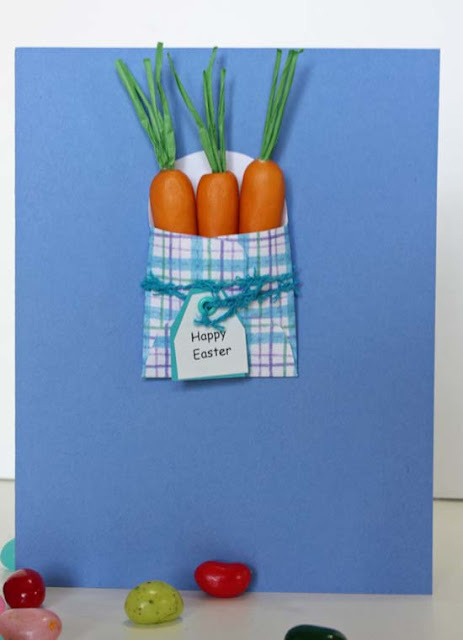 I thought the carrots were a sweet addition, but a little hard to mail in a flat envelope. I picked them up at the craft store in the millinery section. 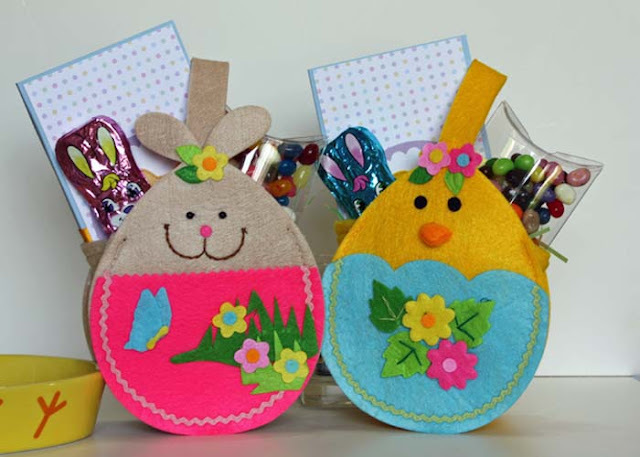 These are two little gift bags I put together with some Easter treats, including the bunny notepad, some chocolate and a little pillow box filled with jellybeans. These bags are from Michael's. At $1.00/each they were just too cute to pass up and much cheaper when you count supplies + time on my budget than homemade. Sometimes homemade doesn't win.